THE ART CENTER is pleased to host an evening with acclaimed Nepalese poet, Yuyutsu R.D. Sharma at the Art Center in Grand Junction, Colorado on Saturday, February 13 from 4:00 p.m. – 5:30 p.m. The evening will begin with hors d’oeuvres from Nepal Restaurant and then works presented by Sharma. The evening will close with an informal opportunity to ask questions and share in a discussion with Sharma. This event is free and open to the public. Yuyutsu R.D. Sharma is a distinguished poet and writer with international acclaim. 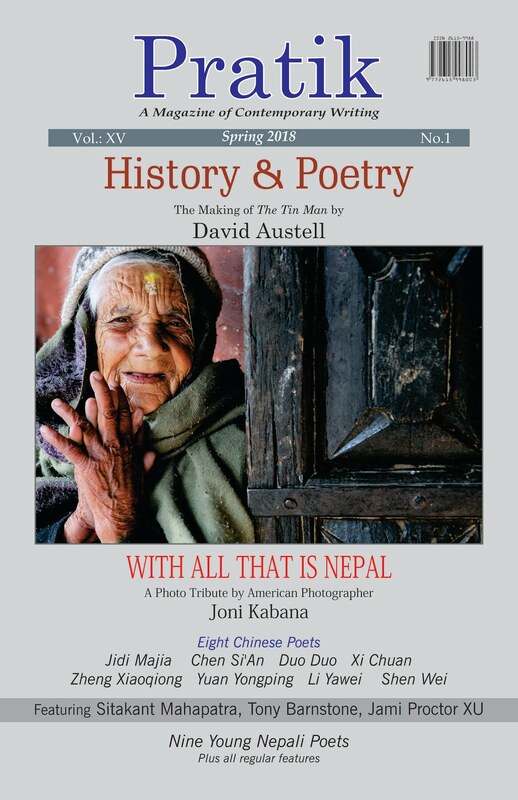 Sharma has several published works including A Way to Everest: A Photographic Journey to the Foot of Everest, a collaborative effort with German photographer Andreas Stimm, Roaring Recitals: Five Nepali Poets, and his most recent work Annapurna Poems inspired by David Ray. Sharma has also received numerous accolades, grants and fellowships including those from the Rockefeller Foundation, Ireland Literature Exchange, and the Institute for the Translation of Hebrew Literature to name a few. He is a notable translator with his works being translated in more than seven languages. 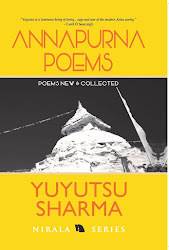 “Yuyutsu RD Sharma’s poetry runs clear, tender, and passionate with a rage that often erupts volcanic in the face of cruelty, despair, and injustice that saddles the disenfranchised poor of the earth. 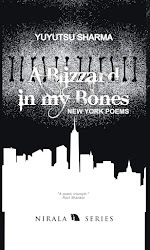 Poems powerful and devastating, yet gentle as flower petals wafting to earth in a summer breeze.” Michael Annis, senior editor, Howling Dog Press, Colorado . This event is sponsored by Nepal Restaurant located at 356 Main Street , Grand Junction and Farolito Press. For more information please contact Charity Finnigsmier at (970) 420-9513 or Camille Silverman at 243-7337, xt. 6. The Art Center is located at 1803 North 7th Street , Grand Junction . (970) 243-7337. www.gjartcenter.org. On February 8, 9 and 10, 2010, help us welcome Yuyutsu Ram Dass Sharma to Northern California. Yuyutsu is a world-renowned poet and author who has published 8 books and translated and edited several anthologies of contemporary Nepali poetry. 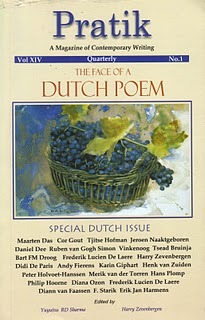 His work has been translated into German, French, Italian, Slovenian, Hebrew, Spanish and Dutch. One of his books of translations was nominated by the Library of Congress as Best Book of the Year from Asia. All readings and workshops are free and open to the general public. 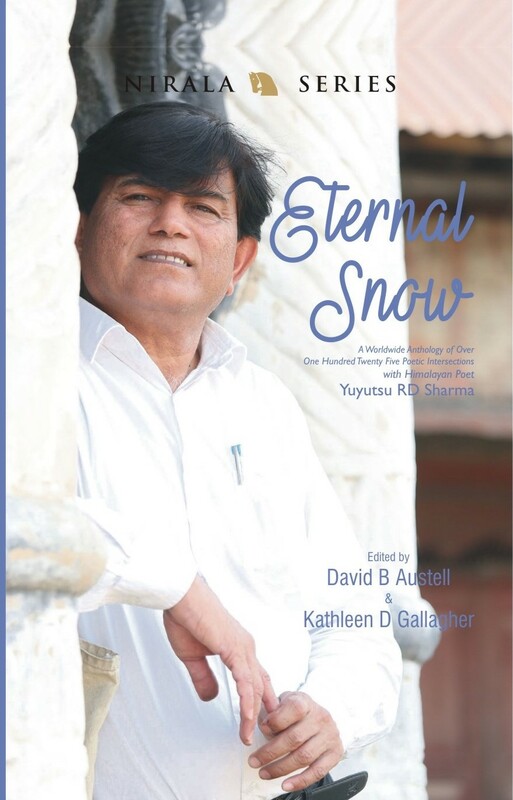 Yuyutsu shall explore the making of a Himalayan poem in the context of Nepalese literature in specific and Indian Subcontinent in general. Sharing the oral traditions of the devotional Bhakti poets and the history of Nepali literature in shaping the fate of the youngest Himalayan republic of the world, he shall work with the participants in creating a Himalayan poem. He shall use the Himalayan folk music and the translations from great Nepalese and Indian poets to introduce the dynamics of Asian literary heritage. 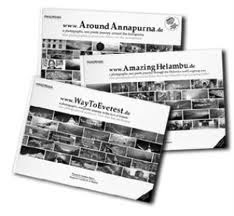 Yuyutsu shall describe his working with distinguished German Photographer, Andreas Stimm,... discuss the panoramic black and white photography and read from his picture poetry book, www.WaytoEverest.de. With the help of PowerPoint Presentation, Yuyutsu will interact, bringing alive the drama of bare survival on the glacial heights. e will also discuss the history of Everest conquest and Western perspective on the mountains in context of Himalayan people’s world view and point out the ecological hazards that Top of the World is facing. Citing mythological sources and scriptures, Yuyutsu will conjure the feel of the Himalayas, the place where soul of God lives. Wednesday, February 10: Summit Room, 3rd Floor, University Union, Cal State University Sacramento: 12:30-1:00 reading; 1:00-2:30 workshopuyutsu shall read his poems from new book Space Cake Amsterdam and Other Poems from Europe and America and discuss the making of a travel poem. Working on the origins of his decade long travels, he will share highlights of his travel experiences and explains subtle mechanism of writing poems on places and people in alien, anguished lands. For more information, visit http://www.epsilonmedia.de/yuyutsu/. 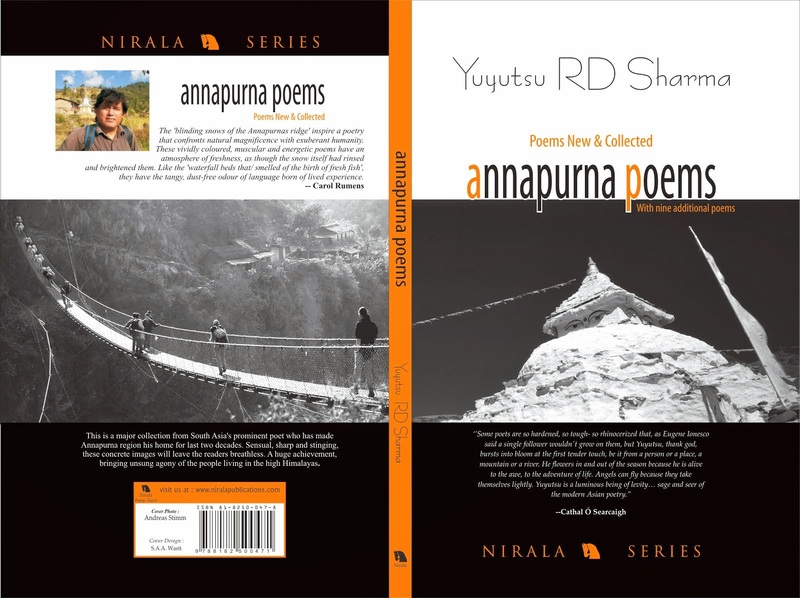 Yuyutsu shall explore the making of a Himalayan poem in the context of Nepalese literature in specific and Indian Subcontinent in general. Sharing the oral traditions of the devotional Bhakti poets and the history of Nepali literature in shaping the fate of the youngest Himalayan republic of the world, he shall work with the participants in creating a Himalayan poem. He shall use the Himalayan folk music and the translations from great Nepalese and Indian poets to introduce the dynamics of Asian literary heritage. Yuyutsu shall describe his working with distinguished German Photographer, Andreas Stimm, discuss the panoramic black and white photography and read from his picture poetry book, www.WaytoEveret.de. With the help of PowerPoint Presentation, Yuyutsu will interact, bringing alive the drama of bare survival on the glacial heights. He will also discuss the history of Everest conquest and Western perspective on the mountains in context of Himalayan people’s world view and point out the ecological hazards that Top of the World is facing. Citing mythological sources and scriptures, Yuyutsu will conjure the feel of the Himalayas, the place where soul of God lives. 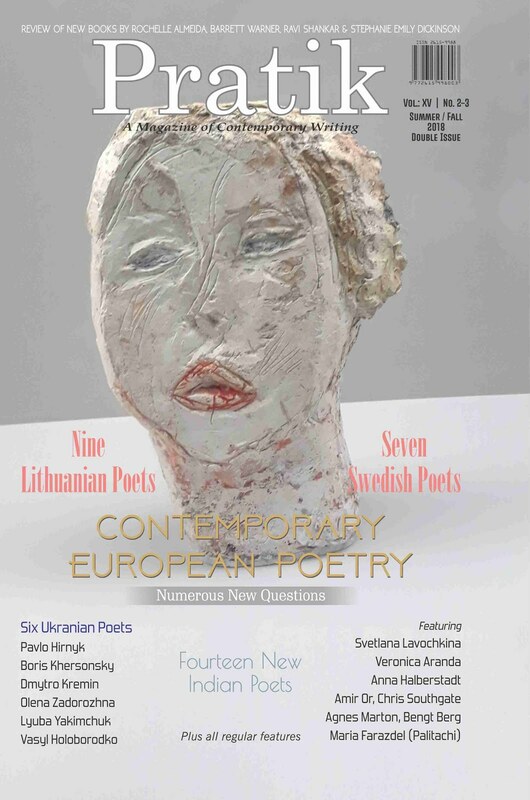 Yuyutsu shall read his poems from new book Space Cake Amsterdam and Other Poems from Europe and America and discuss the making of a travel poem. Working on the origins of his decade long travels, he will share highlights of his travel experiences and explains subtle mechanism of writing poems on places and people in alien, anguished lands. Yuyutsu and other fellow poets will read poems from the book with Himalayan music and drawing on the poems from the book. Illustrations by Henry Avignon and other artists will be present. Those hinged to the dynamic poetics of Yuyutsu RD Sharma will be digitally displayed on stage. A Representative for Henry Avignon Art will be at the event. 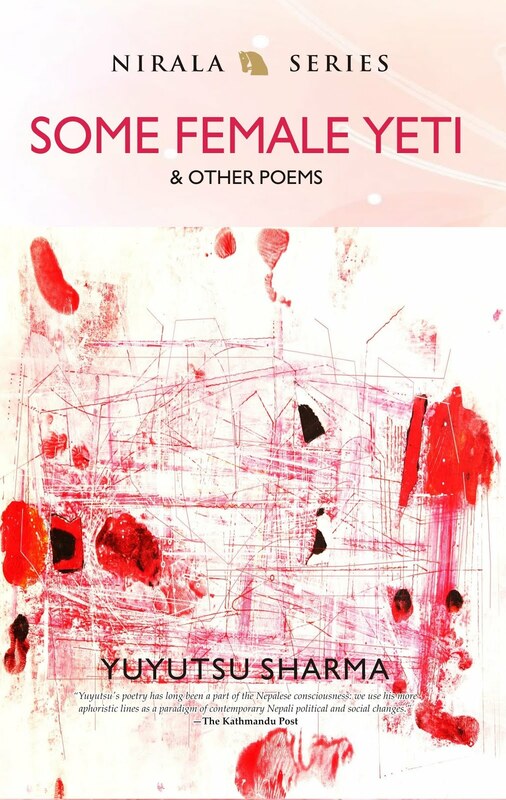 Her tongue curled like a dry leaf in my ear / and crackled, 'How much did you take, / just a piece? I took thirty-eight grams once... / You can pat my back, / tickle my belly or stroke my breasts / for awhile, if it comforts you... // it can be heavenly, / licking the rim of the forbidden frontiers of human life." The surreal tension of a man from the highest point on earth reveling through the eros and addictions of those from one of the lowest produces poetry that captivates and compels the reader to transcend the moment of spiritual impact like a lotus exploding from a lion's heart. Sharma's poetry frees us from the mundane tribulation of karmic oppression of day by day struggle, elevating us to view the world with the third eye of the shaman, to find the 10,000-eyed serpentine Buddha laughing in the midst of psychological pandemonium. He has published eight poetry collections including, Space Cake, Amsterdam, & Other Poems from Europe and America, (Howling Dog Press, Colorado, 2009), Annapurna Poems, (Nirala, New Delhi 2008), Everest Failures (White Lotus Book Shop, Kathmandu, 2008) www.WayToEverest.de: A photographic and Poetic Journey to the Foot of Everest, (Epsilonmedia, Germany, 2006) with German photographer Andreas Stimm and a translation of Irish poet Cathal O' Searcaigh poetry in Nepali in a bilingual collection entitled, Kathmandu: Poems, Selected and New, 2006. 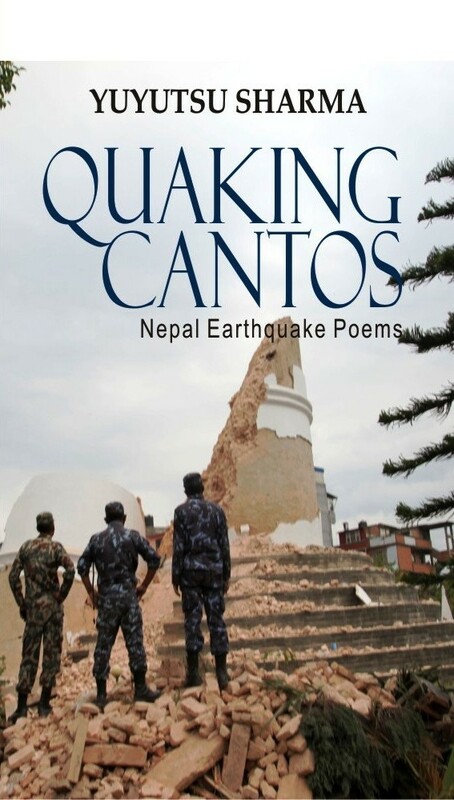 He has translated and edited several anthologies of contemporary Nepali poetry in English and launched a literary movement, Kathya Kayakalpa (Content Metamorphosis) in Nepali poetry. A collection of his poems in Slovenian translation, entitled, Jezero Fewa in Konj come out from the Sodobnost International Press, Ljubljana. A collection of his poems in French, Entitled, Poemes de l' Himalayas has just appeared from Harmattan, Paris. Widely traveled author, he has read his works at several prestigious places including Poetry CafÃ©, London, Seamus Heaney Center for Poetry, Belfast, Western Writers' Center, Galway, Bowery Poetry Place, New York, The Kring, Amsterdam, P.E.N. 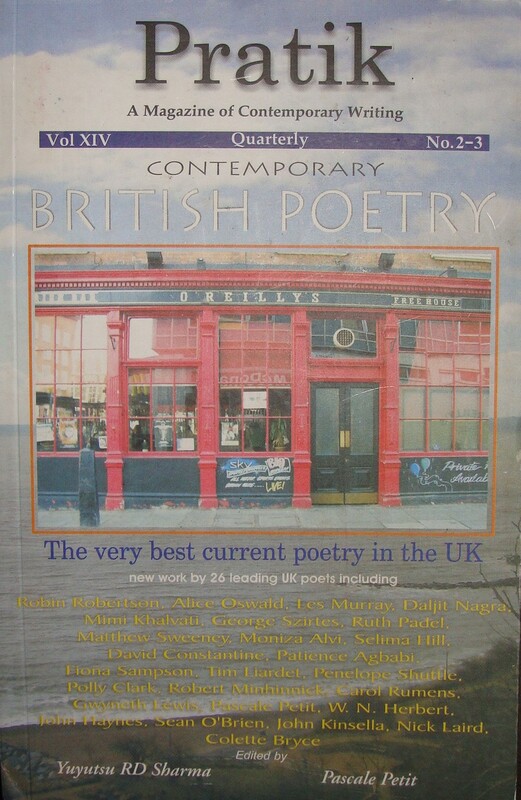 Paris, Knox College, Illinois, Whittier College, California, Baruch College, New York, WB Yeats' Center, Sligo, Gustav Stressemann Institute, Bonn, Rubin Museum, New York, Irish Writers' Centre, Dublin, The Guardian Newsroom, London, Trois Rivieres Poetry Festival, Quebec, Arnofini, Bristol, Borders, London, Slovenian Book Days, Ljubljana, Royal Society of Dramatic Arts, London, Gunter Grass House, Bremen, GTZ, Kathmandu, Ruigoord, Amsterdam, Nehru Center, London, Frankfurt Book Fair, Frankfurt, Indian International Center, New Delhi, and Villa Serbelloni,Italy. He has held workshop in creative writing and translation at Queen's University, Belfast, University of Ottawa and South Asian Institute, Heidelberg University, Germany. Yuyutsu's own work has been translated into German, French, Italian, Slovenian, Hebrew, Spanish and Dutch. 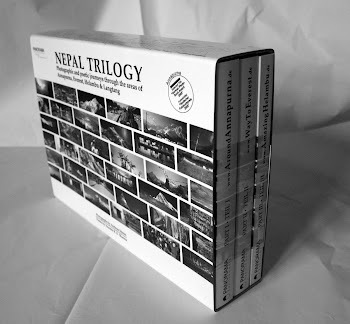 Currently, he edits Pratik, A Magazine of Contemporary Writing and contributes literary columns to Nepal's leading daily, The Himalayan Times and The Kathmandu Post. He has completed his first novel.